Hoofddorp, the Netherlands, May 2, 2018 – Small to medium-sized enterprises ranging from cafes, hairdressers, beauty salons, garages, small retailers and even office reception areas, are now set to become even more vibrant thanks to the introduction of Vivitek’s new NovoDSmini digital signage solution. Ideally suited to all SMEs – whatever their line of business – the NovoDSmini brings the benefits of affordable, easy-to-use indoor digital signage to small companies who want to liven up their premises by displaying and sharing dynamic content. NovoDSmini presents SMEs with an effortless way to transition away from creating ad-hoc, poorly managed, digital signage using basic tools and a screen, by fulfilling the market’s need for an entry segment media player featuring network-based, easy-to-use playlist editing software. The NovoDSmini can be connected to any display device with HDMI. Like Vivitek’s existing NovoDS solutions, the NovoDSmini benefits from NovoDS Studio, the simple to use playlist editing and device management software. Users do not need any programming skills to create digital signage to capture their customers’ attention in any environment. The NovoDSmini can play content ranging from text, audio*, photos, videos, webpages, YouTube, Twitter and weather updates. The 36 pre-arranged templates allow users to easily create information about an SME’s services or offers. NovoDS Studio software helps to effortlessly create professional-grade digital signage. Its multi-page-playlist editing and scheduling flexibility – by hour, day, week or month – means SMEs can use the product to deliver relevant messages over their chosen time-frame, without having to frequently update content manually. For instance, a cafeteria can program the NovoDSmini to display the breakfast options from 6am to 11am, the lunch options from 12pm to 3pm, followed by dinner specials from 5pm onwards. This dynamic content creates far more impact on audiences than just showing and repeating one playlist. Furthermore, images are displayed in Full-HD 1080p, NovoDSmini ensures that the content displayed is eye-catching, even in smaller areas. 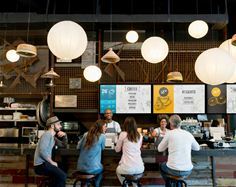 For shop owners with multiple digital signage screens to manage, NovoDSmini also provides a centralised device management function to enable users to control all of the NovoDS devices on the network. This ensures that SMEs are kept productive and focused on their task at hand, rather than spending time on managing digital signage devices. Users can monitor the device or devices’ status easily, and they can update all the devices’ content at once, or separate them into groups and assign different schedules per group, according to the content, venue and the time it is due to be displayed. Users also have the option to synchronise content over selected devices, to create a stunning effect across multiple signage displays. Despite its power and flexibility, Vivitek is aware that many SMEs are budget-conscious, so it has ensured that the NovoDSmini is packed with value-added features appreciated by the target market. The NovoDS Studio software is provided free of charge, and there are no hidden costs such as license or software update costs, making it an economically viable long-term investment for smaller businesses. The price of NovoDSmini is £229 ex VAT, and it is available immediately. Businesses may be legally required to have a current a PRS (Performing Rights Society) for Music licence to play music in a commercial venue.